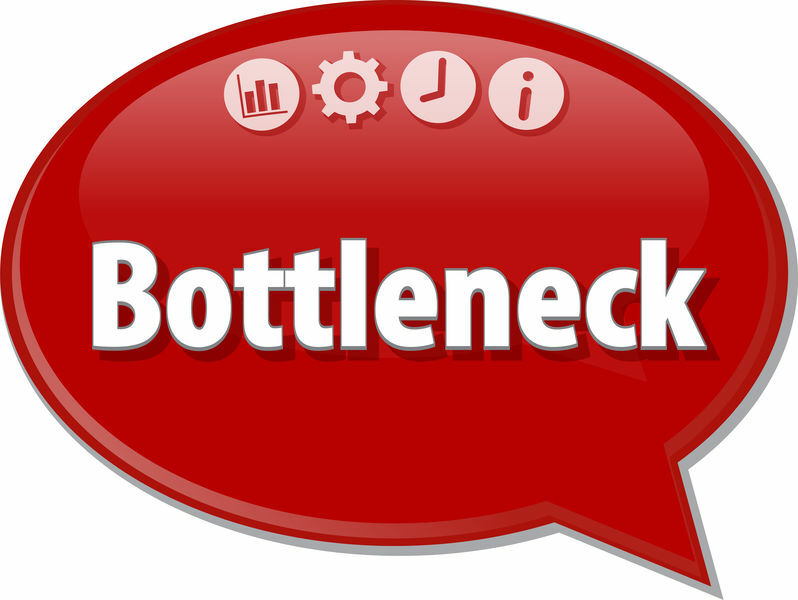 Do you have a bottleneck in your business? Can you identify exactly what that bottleneck is? Do you know how to reduce or remove the bottleneck? These are some of the questions I would like you to consider today particularly for those of you who are in a new, small or medium business. Sometimes we may be a single person enterprise or have a team of helpers who may be direct employees or partners. Either way it’s usually us who must deal with the strategic elements of our business. We need to be able to look ahead to determine what is coming up, however, the day to day running of our business can sometimes take over, preventing potential bottlenecks. This is fine of course if we can ‘see’ the bottleneck coming up! As we know things happen when we least expect, and with the best will in the world we are caught by surprise only to find that the ‘bottleneck’ in our business has slowed down or stopped us from providing our service. What might a bottleneck look like in our business? These can come in many forms. One of the most common, is personal or family things. I’m sure this comes as no surprise to you, but whether our business is our main source of income or not, our family always should and do take precedence on our business. When this happens, our focus is taken off our business perhaps even for a short while resulting in things happening that now we have to deal with. The other bottleneck might be health. We all take our health for granted until we lose it either temporarily or permanently. If we don’t take care of ourselves, we might be heading for health issues that prevent us from working effectively in and on our business. How can we identify and prevent bottlenecks then? Ensuring that our health and family are fine enables us to keep the focus on our business, but to do this we need to keep some of our time focused on the longer-term aspects of our business. To do this we need to set time aside to consider where our business is going. Are we on track, are we on schedule, is anything likely to take us off the path we are heading?